As the code base grows, the complexity of your code increases. The pace of software development often slows down as the product matures. Why is this? 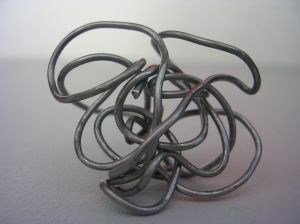 What can we do to manage complexity? Sustainable software development is about retaining software development velocity over the life-time of your product. In part one, I covered the technical debt side of sustainable software development. In essence, when you postpone refactoring, bug fixing, testing etc., you accumulate debt. As all debt, it has to be re-payed. But even worse, you will pay interest. Every time you think about, swear about, discuss, plan or anything (but fix) your known problems, you pay. Fred Brooks makes the distinction between essential and accidental complexity (also discussed in his book “The Mythical Man-Month”). Essential complexity comes from your problem domain. The problem will have an inherent complexity you cannot get away from. Accidental complexity comes from the solution you’ve chosen. The “Keep it simple, stupid!” (KISS) design principle encourages developers to prefer simple solutions over those more complex. Thus, in order to manage complexity, it is important to keep the accidental complexity to a minimum. For example, dividing your code using the Single Responsibility Principle is one way, so that different pieces of functionality are not tangled up in a single class. Another example of accidental complexity is the introduction of unnecessary dependencies in your software. Every subset of your code will have connections and communication with other subsets of your code. In a naive software implementation, the number of connections would grow wildly with the size of the software. The interconnectedness of your code is one aspect of complexity that needs to be managed. Decomposition and decoupling will help you, and they should be applied to all levels of your system: service, sub-system, module, class, function etc. Various design principles (e.g. Dependency Inversion Principle) and patterns can guide you. Steve McConnell discusses hierarchy and abstraction in his article “Keep it simple” (and in his book “Code Complete”). Structuring your software as a hierarchy is a means of decomposing your solution into more manageable pieces. Normally, different kinds of hierarchies exist within your code. For example, think about the difference between the relation between objects (“which object creates/destroys/contains/depends on/owns the memory of which”) and the relation between functions (“which function calls which”). One architectural pattern that can help the high-level structure of your code is Layer (defined in the book “Pattern-Oriented Software Architecture: A System of Patterns” by Buschmann et al.). One upside of a structured approach like Layer is that tooling, such as automatic mapping which classes depend on which, can help you enforce your structure over time. Abstraction is all about what level of detail is visible at what level (see also my post on abstraction). For example, the file system is an abstraction hiding the hard-drive with its tracks and sectors. When writing a program, you refer only to “file x”, and not to “track y, sector z”, which helps tremendously. Abstraction will help you reason about your program. Abstractions are largely domain dependent. Your domain will decide what is a good level of abstraction, hiding unnecessary detail while not constraining you. How do you fight complexity in your daily work?